Are you a bull in the china cabinet? I know I sure feel like one. We run into things at an extraordinary pace, and we have the bruises to prove it. We feel like our legs are tied together or we are walking a 90 degree angle plank. A disturbance in proprioception is thought to occur in both fibromyalgia (FM) and myofascial pain syndrome (MPS), but for different reasons. Myofascial pain syndrome can co-exist or be confused with FM. Proprioception = a sense of where our body and its appendages are located in relationship to the space around us. Myofascialtrigger points (MTrPs) are knotted up pieces of muscle fiber that shorten the muscle, cause pain locally and in a pain referral pattern. They also cause muscle weakness, and joint dysfunction. A temporary problem experienced by those with an athletic or other muscle injury becomes myofascial pain syndrome in others. (Learn more here.) Most people have experienced the pain and stiffness of “sleeping on their neck wrong,” as an example, and they respond well to usual treatments, i.e. massage or in more severe injury, trigger point injections. But in those of us with chronic myofascial pain a simple injury, or a slight breeze can activate trigger points and trigger points develop in other compensating and opposing muscle fibers. So How is Proprioception Affected by Myofascial Pain Syndrome? A very important muscle in the neck, the sternocleidomastoid (SCM), functions to keep our head where it belongs and provide range of motion. Among other things, it also keeps an eye on where our head is located in space (proprioception) and provides feedback to the brain to help us maintain balance and interpret visual information. 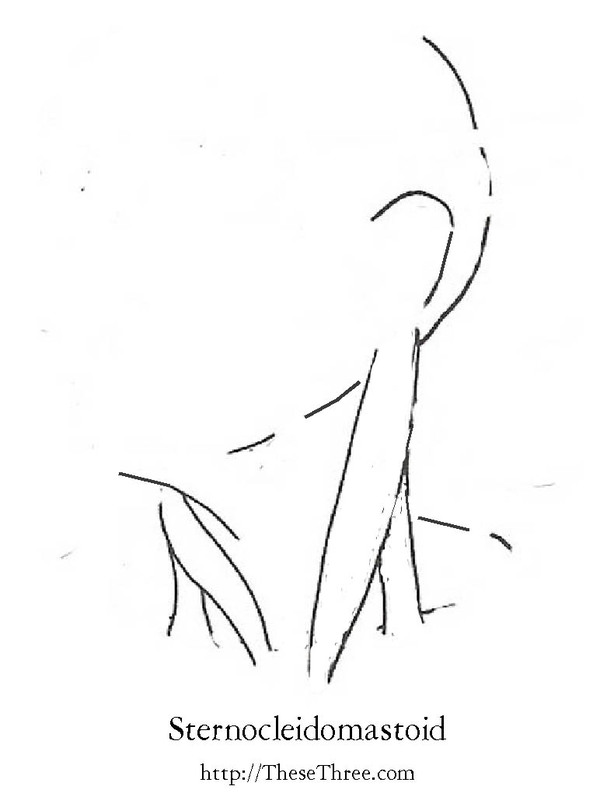 When trigger points develop in the sternocleidomastoid, they shorten the muscle placing its job in jeopardy. When this happens we walk into things, drop things without warning, become dizzy, have visual disturbances, experience headaches, and more. Trigger points in the legs can also affect gait and cause imbalance—another blog for another day. Proprioception and balance problems have been studied in relationship to fibromyalgia and sleep, posture problems, and neuro regulation. This suggests that fibromyalgia does affects our brain’s ability to orchestrate important information correctly. A Great deal of research suggests this “neuro dysregulation,” is at play, but it is still unclear as to which came first, the cart or the horse. Does the dysregulation that affects proprioception also affect the brains ability to lead the band for immune regulation? Some think yes it does, but that is another story for another day. You can read more about this and the role of myofascial trigger points in Integrative Therapies for Fibromyalgia, Chronic Fatigue Syndrome,and Myofascial Pain: The Mind-body Connection. What is the Difference between FM and MPS, What Sets Them Apart and Links Them Together? Fibromyalgia is accompanied by certain specific symptoms and particular conditions, such as: gastrointestinal disorders, TMJ, Raynaud’s, migraine, restless leg syndrome, hypothyroidism, SICCA, bladder and pelvic difficulties and sexual dysfunction (male and female), chronic fatigue syndrome, hypothyroidism, ankylosing spondylitis, Sjögren’s, systemic lupus erythematosus, rheumatoid arthritis, multiple chemical sensitivities, and autonomic dysfunction. Many of these conditions also share a myofascial component and is why some believe myofascial pain syndrome is a common comorbid disorder to fibromyalgia that explains many symptoms we experience. There are however, some who believe the symptoms we experience are nothing more than random complaints. The later is unfortunate because it impedes important research that might lend better information for why we have such difficulty with our proprioception. Watch for Part II – Proprioception in FM and MPS: Are you a bull in the china cabinet? What can we do? Alonso-Blanco C1, Fernández-de-las-Peñas C, Morales-Cabezas M, Zarco-Moreno P, Ge HY, Florez-García M. Multiple active myofascial trigger points reproduce the overall spontaneous pain pattern in women with fibromyalgia and are related to widespread mechanical hypersensitivity. Clin J Pain. 2011 Jun;27(5):405-13. doi: 10.1097/AJP.0b013e318210110a. Cooper, C and Miller, J. Integrative Therapies for Fibromyalgia, Chronic Fatigue Syndrome, and Myofascial Pain: The Mind-body Connection. Healing Arts Press: Vermont. 2010.
Cooper, C. Questioning the Preliminary Proposed Diagnostic Criteria for Fibromyalgia. The Pain Practitioner. 21(2):24-25. Starlanyl, DJ and Sharkey, J Healing through Trigger Point Therapy: A Guide to Fibromyalgia, Myofascial Pain and Dysfunction. North Atlantic Books (September 11, 2013).